As an adult getting ready to celebrate Passover, you’re probably knee-deep in stale Cheddar Bunnies and popcorn crumbs as you frantically clean the house from top to bottom in an effort to rid your home of everything leavened. But here’s the thing: When your kids learn the cold hard truth that their favorite cereals, breads, cookies, and pastas are about to be banished from the house, they might go a lil bit cray-cray. It’s hard to go without your favorite foods when you’re a kid for one day, let alone eight—but it doesn’t have to be the end of the world. There are some scrumptious alternatives just beyond the horizon. From macaroni and cheese to burritos and pizza, I’ve rounded up the most delicious, kid friendly Passover recipes out there. 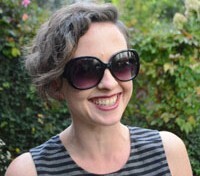 So break out the matzo and prepare to wow your picky eater with some seriously awesome eats. Scrambled egg potato muffins are a great breakfast option when you can’t offer your kids their usual morning bagel, toast, or bowl of corn flakes. 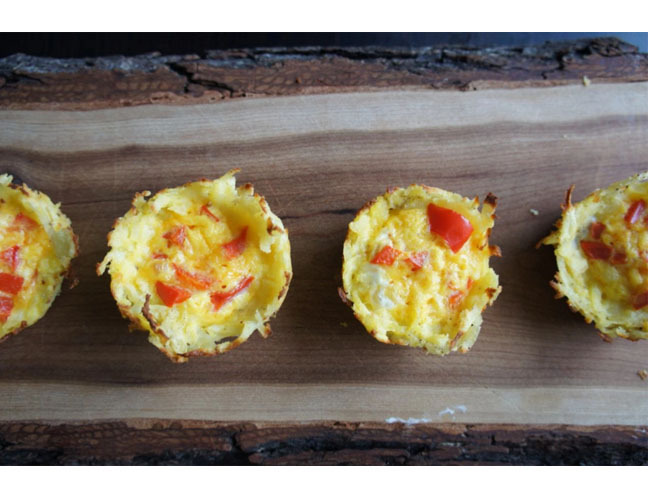 These shredded potato cups filled with cheese, eggs, and the veggie of your (or your kid’s) choice are pop-in-your-mouth good, and easy for on-the-go breakfasts. Apple cinnamon matzo brei takes your basic dish of crumbled matzo and scrambled eggs, and kicks it up in a super kid-friendly way by adding caramelized apples and cinnamon. The combination tastes as sweet and delicious as homemade apple pie. Not to be missed. Margarita matzo pizza has all the cheesy, saucy goodness without the leavened base. 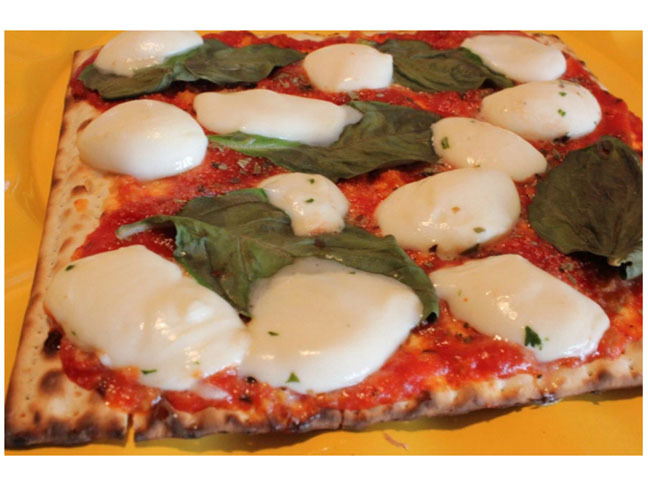 Kids will love this Passover approved pizza, loaded with fresh mozzarella, basil, and oregano. Grilled matzo brisket wraps are a close (and delicious) alternative to your child’s favorite Mexican burrito or Philly cheesesteak. 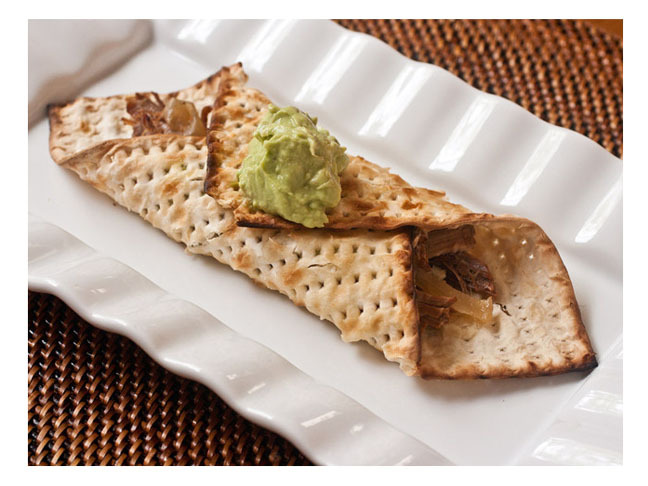 Wrapped in a softened matzo, the grilled brisket and onions are crisped up in a panini press and then topped with a dollop of guacamole. 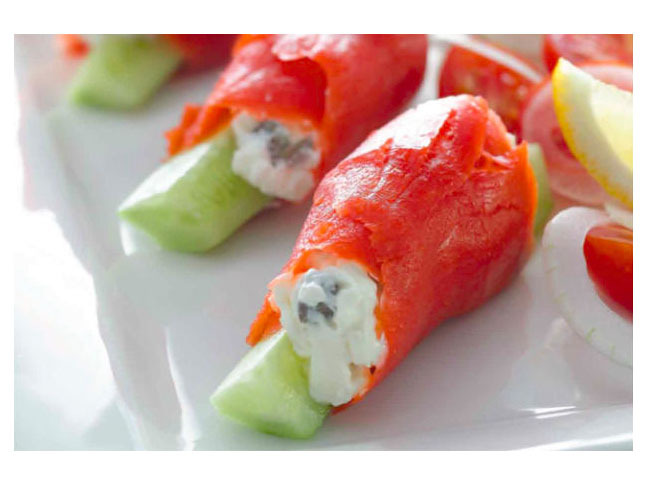 Smoked salmon rolls are a crunchy, creamy, colorful appetizer your kids will love—and probably have fun helping you prepare, too. 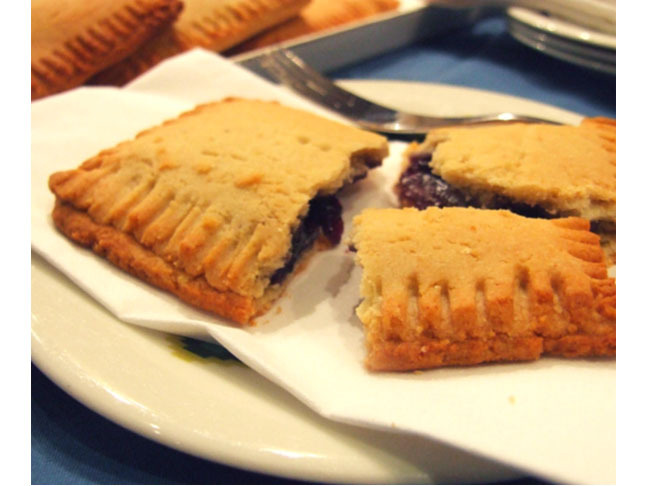 Pesach Pop Tarts are a yummy breakfast treat for kids used to regular Pop Tarts and on-the-go breakfast foods. A dough of ground almonds, potato flour, and mashed banana is filled with the jam of your choice, then baked and ready to eat. Farfel and cheese is a spectacular alternative to macaroni and cheese. 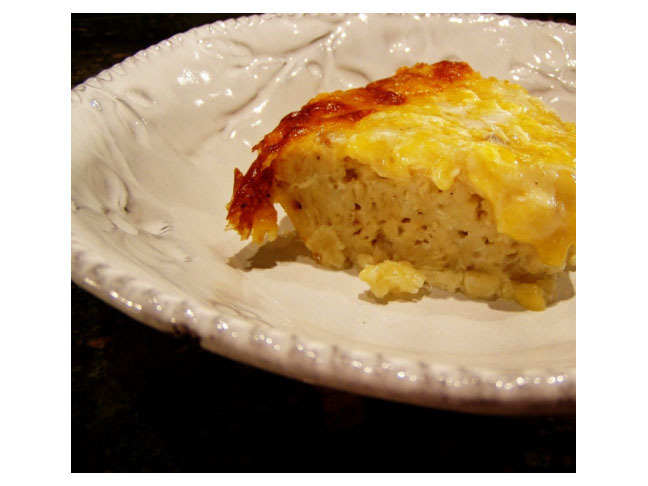 Combining farfel, eggs, cheese, yogurt, and milk, this cheesy, gooey, macaroni-esque casserole will delight your kids when it lands on their plates. 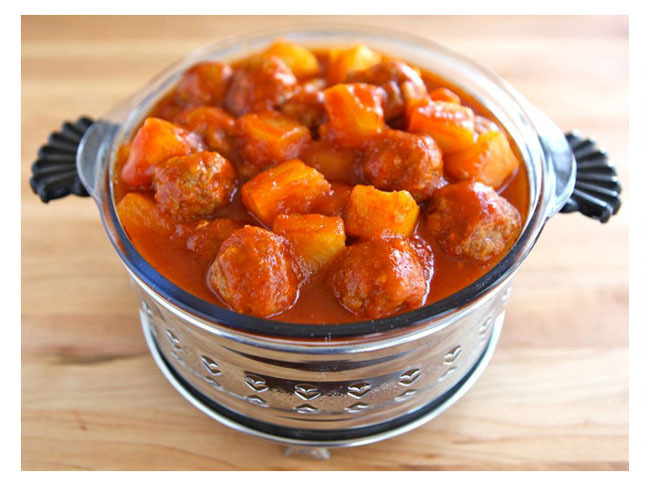 Sweet and sour meatballs should go down exceedingly well with your hungry tots. 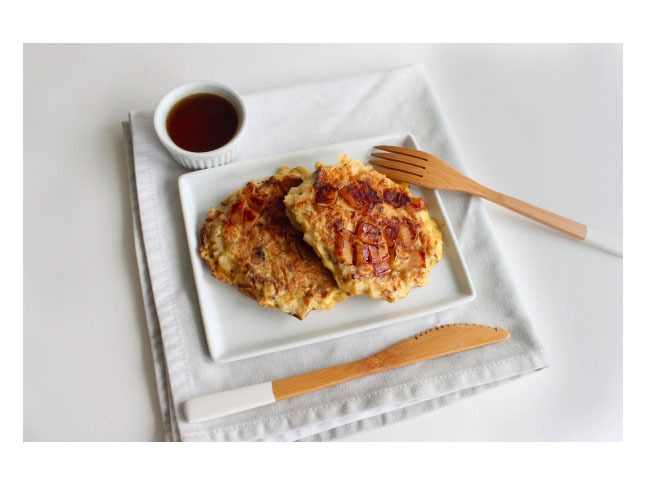 Replacing bread crumbs with matzo and tweaking the sauce a bit is all you need to do to make this hearty, flavorful dish perfect for Passover. 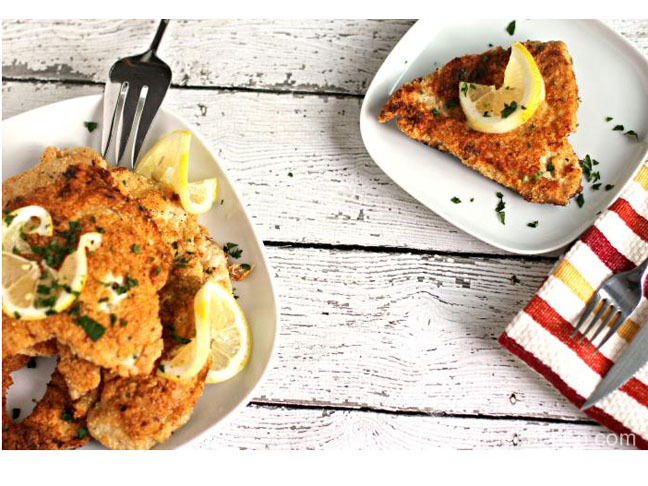 Matzo-breaded crispy chicken breast with lemon is a delicious, lemony twist on your basic pan-fried chicken breast, except it uses matzo instead of bread crumbs. It’s crunchy, tangy, and finger-licking good for the whole family.